The Korean flag is full of meaning. Though, depending on who you consult, it can mean many different things. - Taeguk (the red and blue yin-yang symbol in the center): represents the cosmic forces of yin (blue) and yang (red) that gave birth to everything in the universe. Blue implies hope, while red is supposed to signify nobility. They combine to represent the creation of the truth (truthiness?) of the universe. - White background: represents one, or all, of the following things: purity; the brightness of the Baeguiminjok [배귀민족] - people wearing white; and the desire of the Korean people for peace. Who knew white meant so many things? It's harder to keep straight than Ricky Martin. - Gwae [괘] - in the four corners: represents movement and harmony. They also function conveniently as those optical illusions where you stare at them for 30 seconds and watch the dots appear. Geon [건]: heaven (or sky), spring, east, humanity, father, metal, and justice. Gon [곤]: earth, summer, west, righteousness, mother, and/or fertility. Gam [감]: moon, winter, north, intelligence, daughter, water, and/or vitality. Ri [리]: sun, autumn, south, courtesy, sun, fire, and/or wisdom. It's sort of like a choose-your-own-adventure, all wrapped up into one convenient national icon! * An interesting note, in answer to the question posed by Kevin: it appears that Korea chose to represent only four of the eight ba gua (also called gwae [괘], yi-ching, or tri-grams), all of which can be seen below in earlier versions of the flag, as a matter of simplicity and convenience. It's interesting that they chose the simplified version, given the fact that the eight kwae matched the number of provinces (not including metropolitan cities and the special self-governing province, i.e. Korea's Hawaii). I wonder why they only used half of the bagua? I mean, I guess out of the 8, those four are probably more cardinal or essential or primary or whatever. The I Ching sometimes breaks it down to just heaven and earth as the basic two. Hmm. Maybe it's better for representing a nuclear family? I wonder if there's a historical reason? and I think that you love Korea. So, I should like to say a word. 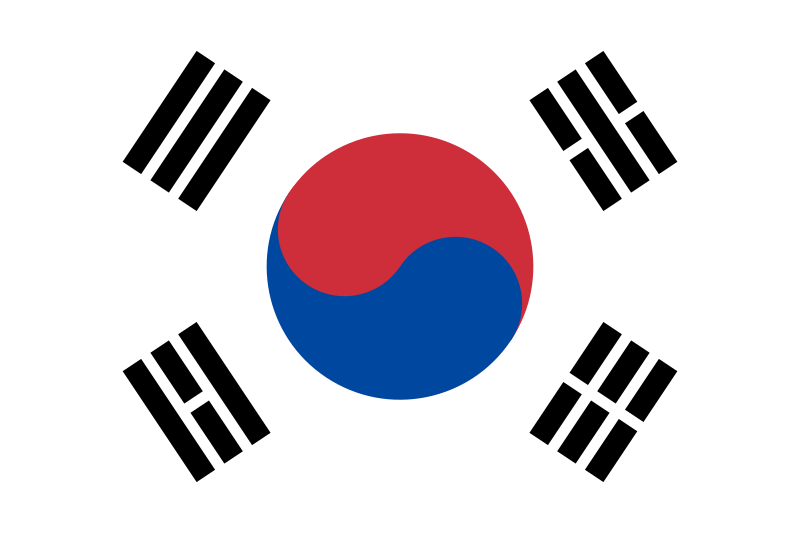 Korean flag hangeul name is 태극기. Perhaps you are confused 국기, 태극기. Your romanization is O.K. but please correct hangeul. Ahh, thanks for the correction. Perhaps I was confused by the romanization, which is misleading. Technically it should be romanized as Taegeukgi then.